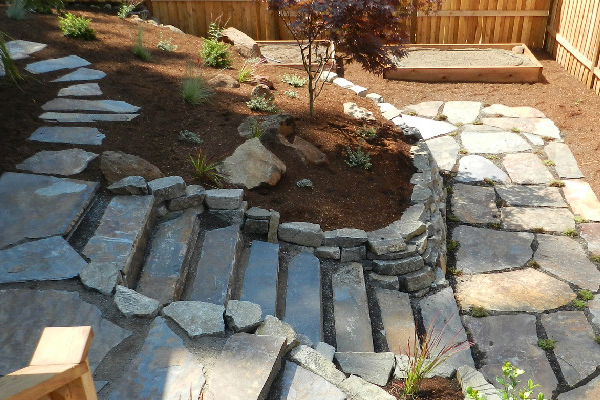 Natural stone can add an elegant touch to your Eugene Oregon landscape. All of these particular flagstone projects were "dry" set, meaning they were set in gravel or sand, rather than mortared to a concrete base. "Dry" setting the flagstone allows for planting Steppables in the joints. 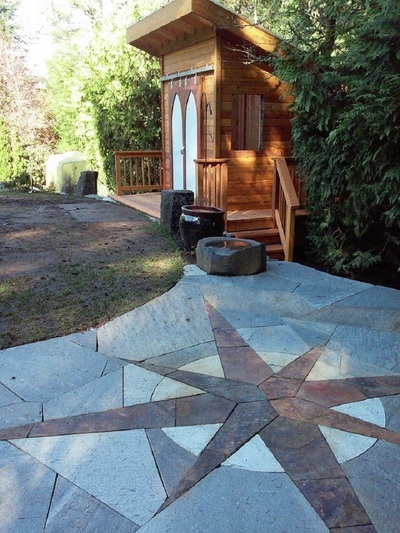 This leads to a much more natural stone setting for your path or patio. 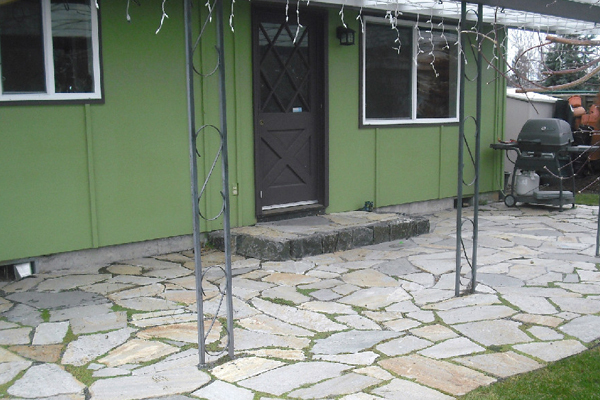 Some of these flagstone projects were finished with polymeric gravel. This is a gravel/dust that has polymers in it. Once the gravel is spread in the joints, we apply a fine mist on the patio to activate the polymers. Once the joints are dry, the gravel/dust forms a hard grout like joint. With polymeric gravel joints, there is less chance for weeds to grow in the joints, anthills, and for kicking up the material in the joints. The downside to this application is that Steppables like Corsican Mint, Creeping Thyme, or Bluestar Creeper cannot be planted in the joints. 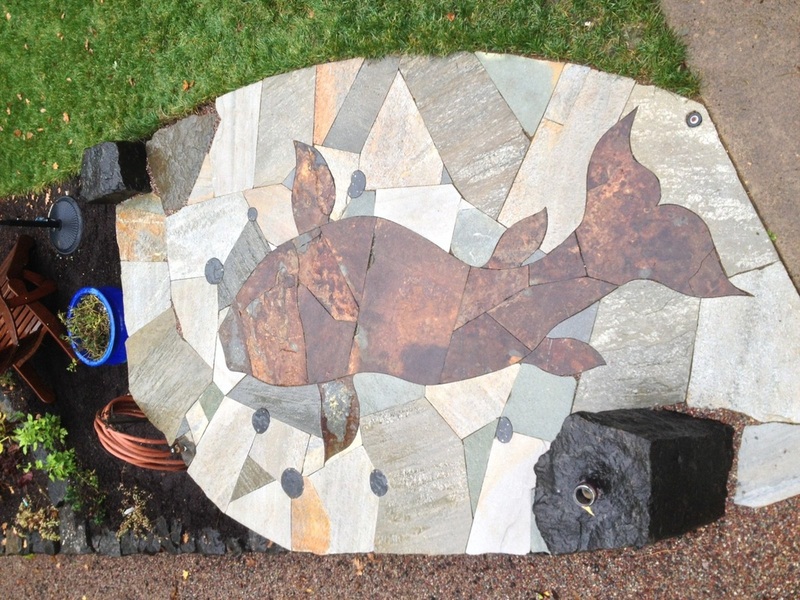 Check out some more of our Natural Stone projects in our Natural Stone gallery.